Names are very important – it has to feel right. How smart and determined CS Lewis was. School class roles reveal how much parents get creative – maybe to give their kid a sense of “specialness” or uniqueness. Or maybe they feel the kid’s name is a reflection of their own identity, I don’t know. Serious thought ought to be given before deciding on a name.Give a kid a difficult to spell or pronounce name, and that child faces awkwardness and struggles by teachers/adults through grade 12. People react to names with facial expressions and body language. Names have sounds – and people do react to pleasant sounds and harsh sounds differently. And those initials! I’m with you, care should be taken. I think you identified the key. 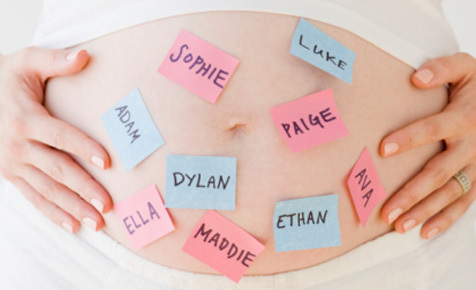 Parents should think of their children, rather than themselves, when they choose their names. Giving a child a weird or silly name is an act of selfishness and vanity that can have repercussions throughout the child’s life. There are naming and blessing rituals for Jewish parents, and Christian parents (even atheist parents!) would do well to consider the naming of their child as a blessing of that child. That’s a nice way to look at it… bestowing a name on our children that will be a “blessing” to them.